A dramatic overhaul of the Andrew Lloyd Webber/Tim Rice story of Eva Peron’s rise and early demise as the real ruler of Argentina emphasizes the dance (especially the Tango) while trimming some of the songs to make a tighter but highly enjoyable new look at this classic musical that’s more like an opera. Although some of the cuts in this “Evita” were jarring at times, it’s really a magnificent new concept to a show that’s been around including several runs at the Fox. This time the Fox Theatre presents this most recent Broadway revival. The first thing you notice is a more Latin beat to the music. 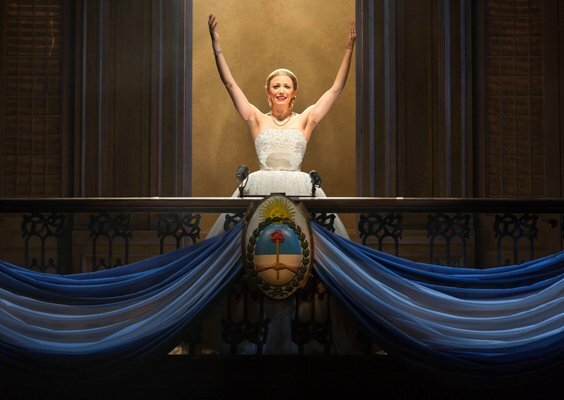 More closely aligned to the country that made Eva Peron a “star,” it’s got an earthy drive that makes for a more realistic and manic feel to the show. In fact, the chorus in the first number on opening night at times had a tough time keeping up with the pace, coming in a beat or so late several times. But this frantic pace help to make the show take on a whole new meaning. The tango steps throughout- even with the slower numbers- also helped to establish a sense of place. The classic flick of the foot behind the partners leg was predominant throughout almost every number. A smoother opening also helped to move the show along, eliminating the first time the casket comes on stage and making the infamous look at Evita’s early career even more stunning. The choreography has changed dramatically as well- eliminating some old favorites such as the clever rocking chair roulette during “The Art Of The Possible” and even the precision military march during the “Charity Event” sequence. But this emphasis on the more classic dance really keeps the show rolling along (to quote another lyric) and makes for a smoother and just as entertaining musical. Sean MacLaughlin is a wonderful, if somewhat young Peron. He, as well, displays a wonderful singing voice and, to go along with the theme of this production, turns in a delightful dancing performance as well. Usually the straight-backed military man, he moves in the traditional tango fashion from their first meeting in “I’d Be Surprisingly Good For You.” Christopher Johnstone is a strong Magaldi, the first big rung on the ladder for Eva, and Krystina Alabado gives a magnificent rendition of “Another Suitcase In Another Hall” as the mistress who is dismissed when Peron latches onto Eva. 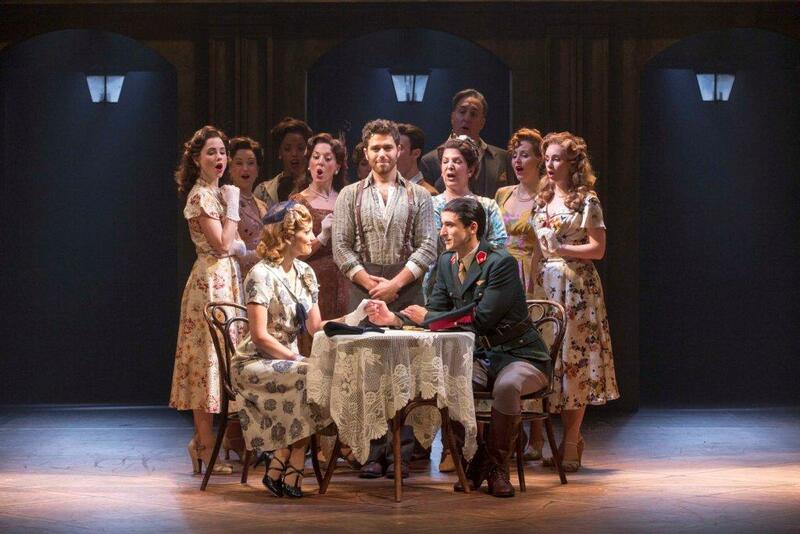 The entire singing and dancing ensemble help to bring this show to glorious life. Michael Grandage has directed with flair and the inspired new choreography of Rob Ashford really makes this production rock. With some major and many minor changes, this “Evita” is something different but still something awesome as it plays through October 20th at the Fox Theatre. Tickets can be bought through MetroTix at 314-534-1111. This entry was posted on October 11, 2013 at 9:43 am10 and is filed under Uncategorized. You can follow any responses to this entry through the RSS 2.0 feed. You can leave a response, or trackback from your own site.